Scott Klusendorf is a member of Equal Rights Institute’s Board of Advisors. He is the founder and president of Life Training Institute (LTI), which was established in 2004 to challenge and equip pro-life advocates to persuasively defend their views in the public square. A passionate and engaging speaker, Scott has appeared on nationally syndicated Christian programs, such as Dr. James Dobson’s Focus on the Family, Lee Strobel’s Faith Under Fire and Billy Graham’s Hour of Decision. He has also participated in secular talk show appearances, including KABC out of Los Angeles. Nationally, Scott has participated in numerous debates at the collegiate level. His debate opponents have included Nadine Strossen, President of the ACLU (1991-2008), Dr. Malcolm Potts, the first International Medical Director for Planned Parenthood, Kathryn Kolbert, an attorney that has argued for abortion rights in a United States Supreme Court case, and Kathy Kneer, President of Planned Parenthood of California. Scott has debated or lectured to student groups at over 80 colleges and universities, including Stanford, Berkeley, UCLA, USC, Johns Hopkins, MIT, and the U.S. Air Force Academy—to name a few. Each year, thousands of students at Protestant and Catholic high schools are trained by Scott and other LTI speakers to make a persuasive case for life as part of their worldview training prior to college. He’s provided that same training to students at Summit Ministries and Focus on the Family Institute. 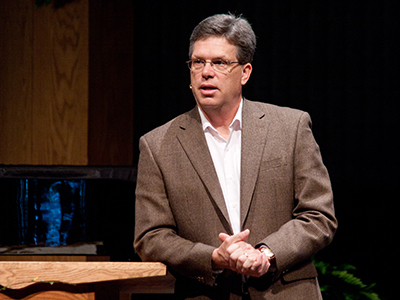 Scott is the author of The Case for Life: Equipping Christians to Engage the Culture, released in March 2009 by Crossway Books. He co-authored Stand for Life: A Student’s Guide for Making the Case and Saving Lives, which was released in December 2012 by Hendrickson Publishers. Scott has also published articles on pro-life apologetics in The Christian Research Journal, Clear Thinking and . Scott is a graduate of UCLA with honors and holds a Master’s Degree in Christian Apologetics from Biola University. He has been speaking full time since 1991. Scott lives in the Atlanta metro with his wife, Stephanie, and together they have four children.